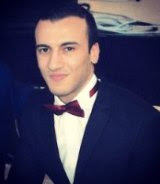 OCR is very pleased to have Simo Yezrour joining our staff as an Associate until March, 2016. Simo recently spent 4 months at ASES headquarters in Boulder, CO helping the mother ship. 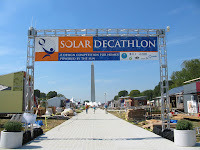 After visiting SoCal during the 2015 Solar Decathlon in October (where, if you remember, we had record temps and full on beach weather), Simo decided to spend his last two months in the states in the OC helping OCR to better connect with local SoCal solar installers, help grow OCR & ASES membership, contribute his own blog article series and help organize a late Feb, 2016 meet up, which we will have more information on shortly. We may have neglected to tell him about the 40 deg temps we've been having recently. Our mistake. After his time here Simo will return to France to finish his degree in Power Engineering before starting a Masters program in the same course of study. Simo can be reached via email at syezrour@ases.org. On November 17th 2015, I had the honor of discussing the gender gap and the under-representation of minorities in STEM at CSULB’s Department of Engineering, after screening the documentary CODE: Debugging the Gender Gap. For those who have never heard of this film, I say run, don’t walk to the nearest screening! In my opinion, Director/Producer Robin Hauser Reynolds and her team did an incredible job of exposing the current realities of women and minorities in STEM fields while offering ways to facilitate change, without “preaching” or making anyone wrong in the process. Viewing this film affected me deeply, as it exposed how I too had bought into the ideology that I could not pursue a career in STEM, or that certain fields were designated for men. I too had been excluded by my guidance counselors. I did not even know that Computer Science was an option. This opened my eyes to the hard and painful truths behind my extreme competitive nature while growing up, striving to be “as good as a son” to my father and looking into my own experience as a young Korean Canadian. 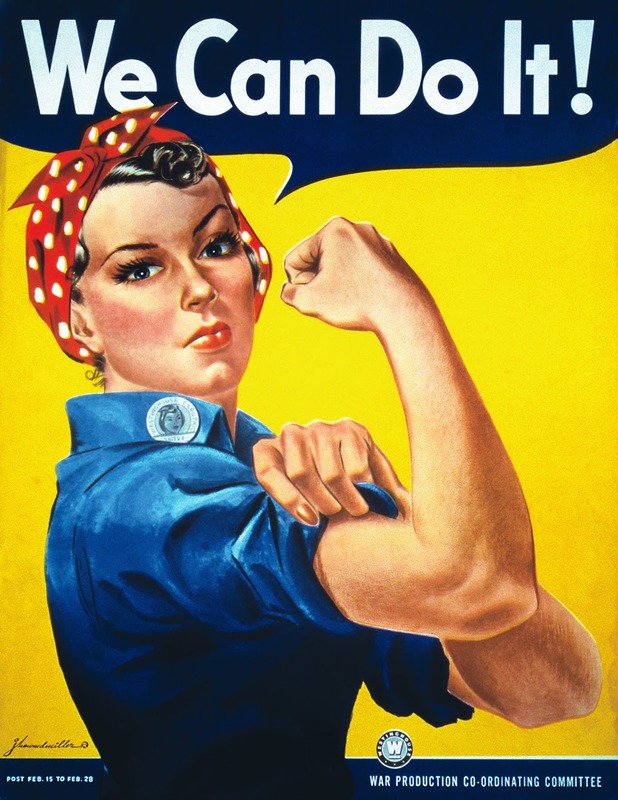 Divine synchronicity brought Eden Full Goh to my attention and being a feminist and optimist for humanity, prompted this article, the first of a blog series highlighting and commemorating the fearless, modern-day, trailblazing women in STEM who have acted "in spite of any odds" or expectations. Eden Full Goh, a young Asian-Canadian inventor, mentor and entrepreneur, has been fearless since a young age. At 10 (in the days and age when a school research project would actually require a trip to the library), a young Full Goh borrowed a book that would change her life forever. It was a book that taught her how to build a small solar-powered car. After building that car, she starting off on a journey that would challenge the status quo. Despite growing up in Calgary, a Canadian city entrenched in the Oil and Gas industry, Full Goh staying true to her values, dared to be different and continued exploring practical ways that solar energy could change the world for the better. She developed a non-electrical mechanism to rotate solar panels – called solar panel tracking – for a 11th grade high school science fair project, which received grants, an internships and provided opportunities to work directly with elite professors. Inspired by this initial success, she decided to continue her research into low-cost solar trackers. In part because of her solar research, Full Goh was admitted to Princeton. While at Princeton, she recognized the call of entrepreneurship and that helping to solve the most pressing problems the world is faced with would require her full attention. She opted to leave Princeton and become a member of the prestigious Thiel Fellowship’s inaugural class to focus on her research, which eventually culminated in a low-cost solar tracker called the SunSaluter. Education, especially from an Ivy League institution, is one of the greatest achievements for traditional Asian parents. It acts as arsenal to prove their child is the smartest of them all. I say this because it is important to stress how much courage it took for Full Goh to make this choice, a choice that has since led to many achievements including being named Forbes 30 under 30 (Energy Category) for three years running, a US Chamber of Commerce IP Champion and Ashoka’s Youth Social Entrepreneur of the Year, just to name a few. Fast forward to today, where SunSaluter is a full-fledged not-for-profit organization with numerous highly acclaimed awards and prizes under its belt, a presence in 16 countries around the world and has already impacted over 8,000 people to date. Recently, SunSaluter chose to open-source the technology behind the SunSaluter, as Eden and her team recognized that the impact across the developing world would increase exponentially by doing so. 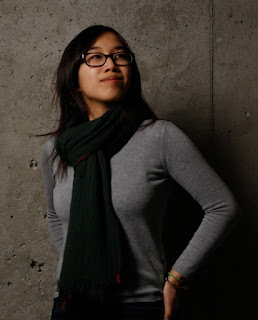 Eden Full Goh is my modern day “Mulan”, unabashedly brilliant and courageous, with the drive, passion and intelligence to transform the future of humanity as we know it utilizing renewable energy. Her strength and ingenuity allowed her to contest the disappointing fall-out rate of women in STEM and acts as an ambassador of inspiration to young women around the world. Whether you are a solar energy company, budding philanthropist or VC/angel investor, I encourage you to check out www.sunsaluter.com and lend your support to a company that is fostering economic progress by bringing solar energy to the developing world and providing entrepreneurial opportunities to individuals in these countries at the same time. 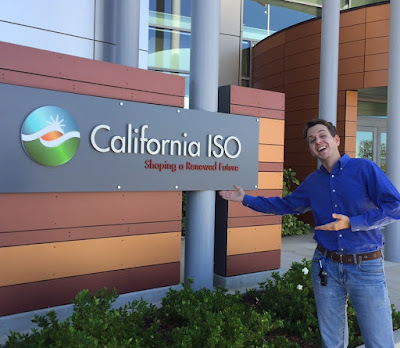 I visited California ISO. I saw the future. It was awesome. Do you know who California ISO is? Its OK if you don't, but the truth be told, if you live in California then California ISO is a BIG part of your life.. every .. single ... day. California ISO is the California Independent System Operator, it is a mandated non-profit entity headquartered in Folsom, California with the specific purpose of managing the bulk of the California electricity grid. This means managing where electricity is being generated, where and how it is routed, what loads are serviced and the overall health of entire system, 24 hours a day, 7 days a week. It is the brain center of the entire operation. For anyone who is interested in Energy, especially Renewable energy and how it is affecting the entire grid system, CAISO is a bit of a magical place. The incredibly bright staff at this facility are not only required to manage the day to day integration of all varieties of generation and loads, but also be a big part of the planning process for the future of the grid. My esteemed colleague Russ Jones (a thanks to him for setting up the visit) and I had a wonderful tour of CAISO and met with some of their top grid operators on Oct 2, 2015. Below are a few of most interesting parts of the visit. What is CAISO and what do they do? Formally, CAISO is a rate-payer funded, non-profit, public benefit corporation. Their "boss" is FERC (...I guess everyone really does have a boss...:/) and CAISO has several responsibilities. CAISO runs the wholesale energy market here in California, which is basically split into two segments 1) the day-ahead market, and 2) the real time market. In aggregate, the total size of the California energy market is $10.2 - $10.4 billion / year, and the historically highest amount of power on the California grid was July, 2006, at 50,270 MW. 50 GW! That's a lot of juice! What is the Day - Ahead Market for energy? The day-ahead energy energy market sets prices for energy in California for the following day, and it is done through a "bid stack process" by which owners of generating assets quote CAISO what they are going to charge to use their generation for the next day. CAISO collects all of the bids, looks at their forecast and then sums / stacks the bid generation from lowest cost to highest cost until the entire day-ahead forecast is met, for some $/kWh price of X. Then, everyone who bid at or below X will receive the business for the following day, which then sets the market price and clears the bids. Everyone who bid > X loses out, and their generation will not work the next day. The day-ahead bidding ends at 10AM everyday, for generation the following day. A few other interesting facts, the smallest generation asset on the CAISO system is 10MW. Basically, you don't exist to them unless you are at least 10MW, which gives a real sense for the scale of the operation. Also, renewable energy providers in CA above 10 MW often bid a price of $0.00 for their generation, all but guaranteeing purchase of their energy. Why? Because the wind is going to blow, and the sun is going to shine, there a'int nuttin' to be gained by not using deployed renewable energy assets, so they will take it at any price. By far the biggest players in the CAISO process are the utility companies and the IPPs with generating assets in the State, which contract with other asset owners / operators through frameworks such as Power Purchase Agreements. What is the Energy Imbalance Market / Real Time Market? CAISO's goal is to be so good at predicting energy needs day-ahead that the real-time market for energy is very very small. In actuality, the real time market is about 10% the size of the day-ahead, so it still a sizable chunk. The real time market exists to fill the hole in generation between forecast demand and actual demand, and the price for energy on this market is higher than in the day-ahead, because it is required to be very flexible. It needs to come on fast, stay on to service real time need, and then go off fast. Batteries in grid-sized energy projects look to be one of the newest players in this market, with resources that can react quicker than natural gas peaker plants and the like. CAISO headquarters is in Folsom, CA. No cameras are allowed inside the facility, but here is a picture of your truly at the front, and a picture of the control room from the CAISO website. They have a very nice LEED Platinum office building with about 600 employees. What are the tools of the trade in grid management? 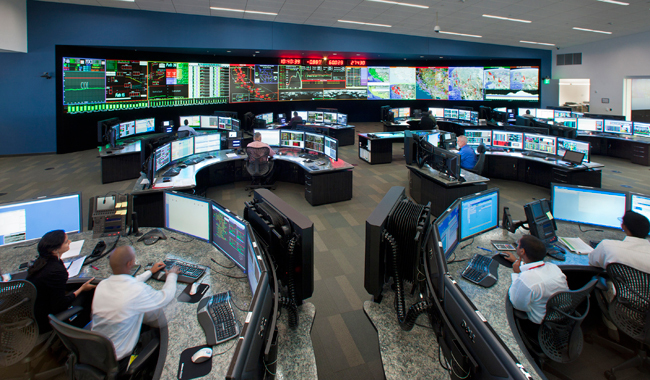 The grid operators at CAISO exist to make sure all users are receiving high quality, stable electricity from the system. But when you process over 27,000 transactions a day and are managing an infinitely complicated mix of generation and load, there are several tools that operators depend upon for load and generation management. For example, CAISO has about 1400 MW of demand response, or loads which they can control as they see fit. They also have the real time energy market, to provide generation in short notice when needed. They also have more exotic options, such as a pumped hydro storage facility (pumping water up a hill) and a big resistor bank they call "the toaster" to burn off excess energy if needed. No comment from them on if it actually makes toast. As explained, CAISO works hard to keep the frequency of the grid within a narrowly specified range. Too much generation on the grid pushes the frequency higher. 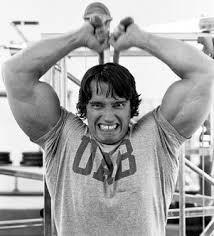 Too much load will push it down. CAISO has the ability every 4 seconds to make an adjustment and keep things in control. Its like they can drop an oar in the water every 4 seconds to finely adjust the speed and direction of one of the world's largest aircraft carriers. At a top level, the CAISO website shows real time the generation, load and renewables mix on the grid in California. It is beautiful. What is the current and future impact of renewables on the grid? In just PV alone, California has about 6,000 MW of solar in the form of utility scale / larger scale solar power plants. In behind-the-meter rooftop, CAISO estimates another 3,000 MW total. In aggregate, that is already 20% of the states generating assets! And the amount installed is only getting bigger. CAISO estimates another 3,000 MW of behind-the-meter rooftop installed by 2020. Dealing with this much PV is already proving tricky. CAISO has doubled down on high tech weather forecasting efforts to help predict the availability of renewables. But in talking about the future, CAISO is far more excited about "smart inverter" technology to smooth the impact of renewables than other techniques, such as battery energy storage. PV inverters connected to the grid today are required to comply with "anti-islanding" regulations, which means if connection with the grid drops, then the inverter needs to stop generating and wait for the grid connection to return. This is primarily for the safety of line workers. But CAISO would prefer more dynamic inverters that can read the condition of the grid, such as an elevated frequency, and respond accordingly. Because individual nodes would help in stabilizing the system at many points, this would make it easier for CAISO to complete the overall mission. I think this is a terrific bit of insight and I would expect leading inverter companies to respond accordingly over the next several years with dynamic frequency response and the like. When asked about how their strategies for managing large renewable penetration compare to other operators / countries, such as Denmark, staff at CAISO made two great points. First, the CA grid is much larger and more complex than other grids with deep penetration. Second, the "quality" of the electricity CAISO is required to deliver is often much more stringent than other countries and grid operators. The frequency and voltage bands are often much tighter and require much finer control. Its an altogether different type of beast. What about battery energy storage? There are certainly places in the world where large amounts of battery storage makes great economic sense today. However, CAISO sees grid-connected battery storage as fairly small potatoes for the next 5 - 10 years, with only about ~20MW of experimental systems connected to the grid here in California, and maybe another 100 - 200 MW by 2020. A recent report from IEEE to the DOE also echoes that other techniques in managing larger renewable penetration may be more cost effective than battery storage for the forseeable future. So whats the final word? My big take away from the visit, other than just being totally impressed with the entire operation and every staff member we met, was that CAISO is fully prepared for the challenges of a renewable energy dominated future. They spend their time planning and strategizing about how and when renewables will dominate the CA grid, not if. They are actively involved and in many cases leading the discussion on deeper renewable energy penetration, and the CAISO staff is clearly up to the task. I sleep a lil better at night knowing the precious electricity needed to keep my ice cream frozen is coming from a great group of 24/7 warriors at CAISO's energy castle nestled into the hills of Folsom, CA. Fun was had by all today at the official opening of the Solar Decathlon 2015 competition at the Great Park in Irvine, CA. The air tingled with excitement as US Secretary of Energy Ernest Moniz arrived with a pair of giant scissors to cut the ribbon signaling the beginning of the competition. The Decathlon is open to the public for free (although $10 for parking, so carpool if you can) from Thursday till Sunday for the next two weeks. More information is on the DOE website for the event at this link. There ended up being 14x competing teams, with 6x teams dropping out for various reasons. The teams that did make to the event have an array of wonderful houses, with few details left out. They each strive to capture special features of their respective regions, such as the team from Missouri making a Tornado-proof house (an F5 tornado at that! ), and the team from New Jersey making a hurricane proof house (i.e. Hurricane Sandy). Another great feature is the "combination teams", with one team composed of University of Texas at Austin and a German University, and another team representing a partnership of West Virginia University and a University in Rome! Oh la la! And, of course, on the side of the home team, please find below the awesome-ly done marketing video for the Team OC Casa Del Sol. Please do make some time to visit the event or volunteer. It is on going through the next two weeks, as mentioned. OCR will keep you up-to-date with developments and also the winners as the judging comes to a close for the competition. I will also be back as a tour guide from 2-7 next Friday and Saturday! See you then! Re-posting this CNN piece (if you don't see it you need to disable ad block) on the recent turmoil in the world of oil. The interview with the last guy is the best, saying the Saudi's "have only made fracking / domestic production of oil stronger." The news today of massive 15% workforce layoff from Chesapeake Energy, one of the nations largest energy exploration companies, suggests otherwise. Oh California utilities, whoa is thee. This past Saturday saw this LA Times article hinting at the recent musings of California utilities on how to best preserve their antiquated business model through proposed changes to net metering and discussion of fixed monthly charges for customers with their own solar power systems. In summary, utilities are proposing to cut the current net metering rate by 50%, and start charging a fixed per kW installed "tax" on solar customers. This would be funny if it weren't so sad. Instead of finding ways to truly change their business model towards what is very clearly going to be a clean energy driven, distributed generation future, they are moving to try and "preserve" their comfort with centralized generation using fossil fuels, under the guise of "solar power adopting customers are not paying their fair share of grid upkeep costs." Whaan Whaan Whaa. Well, while utilities may have the "power" to do this today, it hardly seems like a good long term solution. In fact, since they are basically offering to pay over generators of solar energy a fraction of the market value of their electricity, generators will be well suited to look for other means of monetization for excess generation, such as home based / community based energy storage. 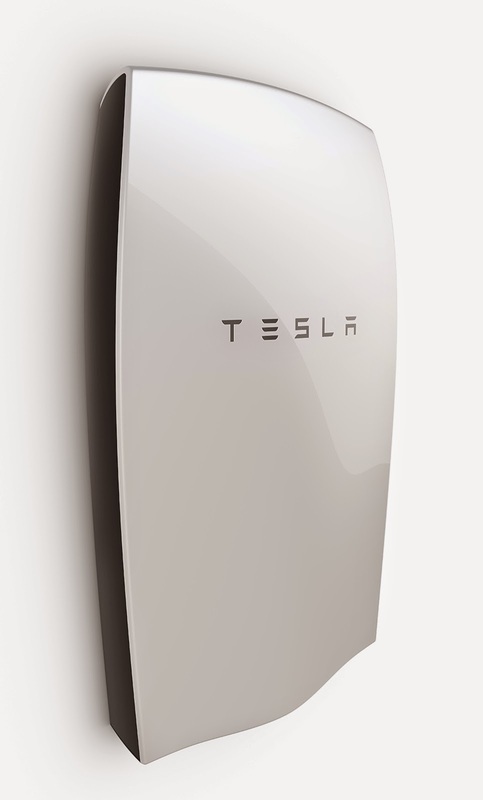 Need I remind people that the hottest product announcement of the year was the home battery storage system from Tesla. Now imagine the interest in such a product when you find out that your utility in basically insentivizing you through fees to integrate your own storage. How are they incentivizing? Lets say I have a 5kW system, generating for 6hrs a day, or 30kWh. During the day I push 20kWh back to the grid, where I used to get fair credit (say $0.18/kWh). Now my utility wants to charge me $10 / month and only credit me $0.09/kWh. Well, looks like I'll have an extra $558 / yr incentive towards my own home battery storage system. 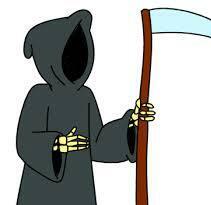 Has there ever been an example of an industry so blatantly signing its own death warrant? While I have a little sentiment for the position utilities are finding themselves in, it is just that.. a little sentiment. These are big, powerful organizations who have unlimited resources at their disposal to find another way to exist in the new world order. While we should be seeing movements on par with "Nextflix moving from DVDs in the mail to streaming" level adjustment in utility business plans, we are instead seeing completely non-creative, totally expected moves to try and "tax and fee" their antiquated business plans back into relevance. Its not going to work. The sooner we ALL realized that, the sooner we can work on building the RIGHT system of clean, distributed energy for all. OCR Sneak Peak: Team OC Solar Decathlon House! I had the distinct privilege of stopping by 2 weeks ago to see the amazing progress on the Team OC "Casa Del Sol" Solar Decathlon house under construction at Irvine Valley College in preparation for the DOE Solar Decathlon which is only 1 short month away! There are many impressive details of the OC home team effort, but lets start at the top. As seen in the picture, Team OC is a consortium of four, that's right, four OC colleges (UCI, Chapman, IVC, Saddleback). When they were selected as an entrant in the 2015 Decathlon, they were given $50,000 to get them started. They have since raised over $1 million in donations and services beyond the DOE's $50,000. That in itself for this entirely volunteer team is an amazing accomplishment. 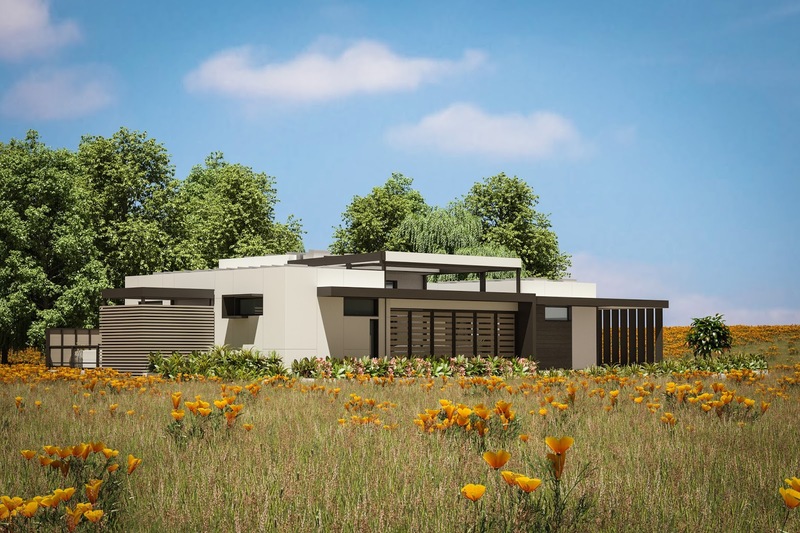 Design of the Casa Del Sol is inspired by the Poppy flower. Its diurnal and drought resistance characteristics make this California State flower the perfect theme for today's sunlight rich yet water poor California. 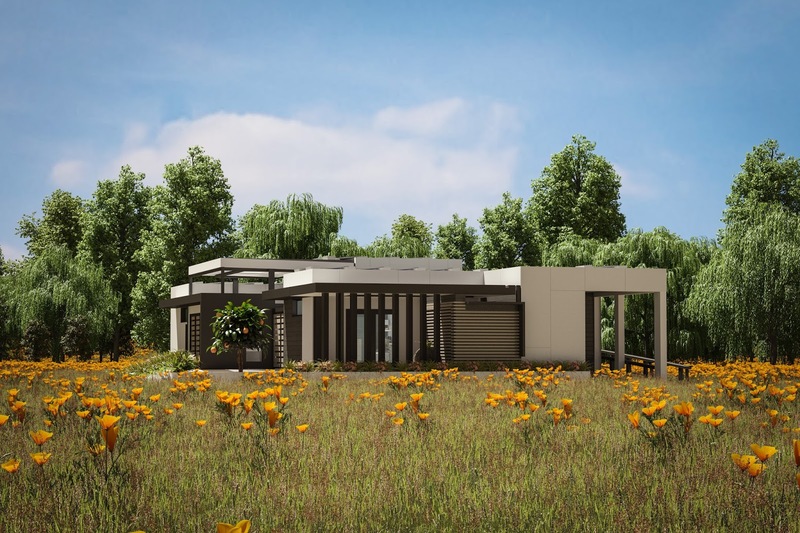 Also in the spirit of the Poppy, the team built the house on a reinforced steel foundation which, per CA State permit laws, can be moved and installed anywhere in CA after the competition. This drastically increases the post-decathlon options for the future of the house. Check out the pictures of the house as of last week, with walls and floors nearing completion. For solar panels / electrical power, the team is going with an array of LG MonoX Neon black trimmed panels. 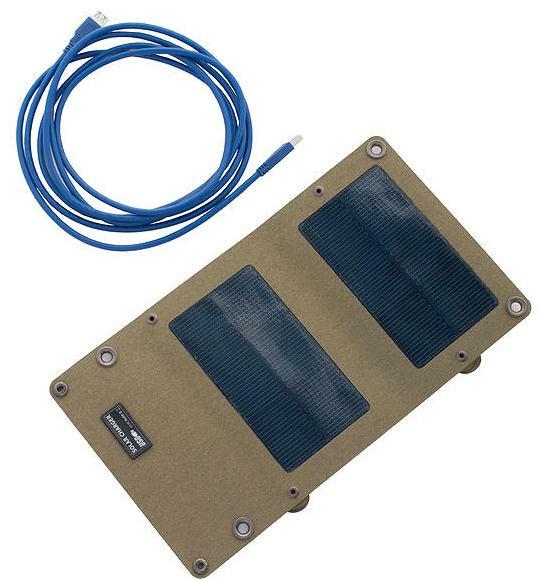 These are a great high performance panels that will be mounted out of sight on the roof for a nice clean look. As you may see, one of the panels was damaged in shipping. Always good to order extra, which this team had the foresight to do. The panels will work to provide electricity to the home as well as charge their electric car, a Nissan Leaf. they have implemented a huge water column tank in which they will hold a thermal gradient with custom temperature sensors (see below). This is a great tool, basically acting as a big thermal storage bank for various systems running through the house. The tank provides enough water storage area to really try some novel things, and the tank is mounted with a highly granular temperature measurement set up (the white "caps" on the side of the tank) such that the team can monitor the input / output to the storage system. For solar hot water heating, the team is using German manufactured Ritter Gruppe solar hot water heating, which uses a small parabolic reflector to guide sunlight to a evacuated solar tube. Other neat-o tools of the house include a semi-custom sub wetbulb evaporative chiller, which is a technology starting to gain use in commercial building systems. Basically, it is a very efficient way to cool air and this is one of the first examples of use of this technique on a small scale. 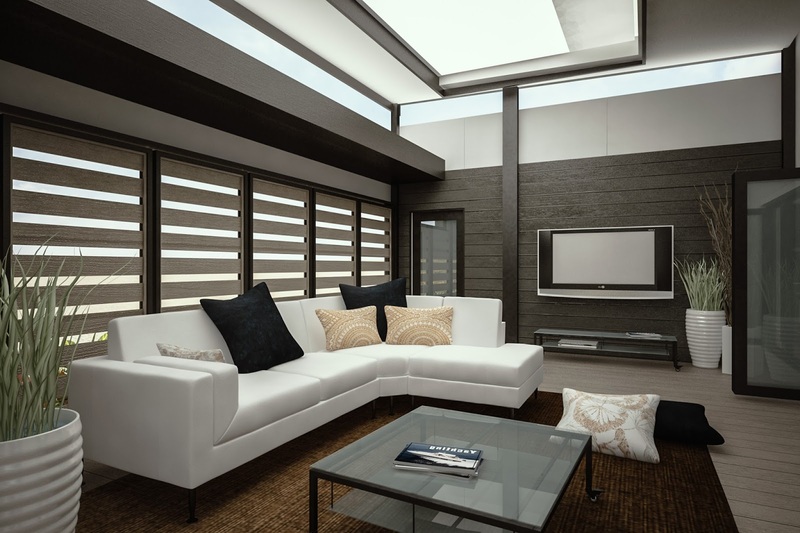 Another "cool" feature of the house, the home will automate the opening and closing of standard Milguard windows as part of the climate control system. The automation features were not installed yet, but the windows were, as pictured. This is a great use of a typically human interfaced climate control tool (opening a window) by the home's computer. Imagine if you're own house knew it was nice enough outside to slide the windows open and turn down your AC. Brilliant! The house will also include, although not finished yet, a "man cave of the future" room. This is something I very much look forward to seeing. My guides, engineer / Ph.D Dr. Moritz Limpinsel and team marketing lead Ms. Camryn Jun said it would include a 3D printer as well as a few other killer toys. A huge thanks to Moritz and Camryn for the sneak peak and I am terribly eager to see the finished product in less than a month. Reflecting on their time as key team members with the effort, both Mortiz and Camryn said they were deeply affected by the work and struck by the passion everyone had for the project. As a member of the "home team" geography, I hopefully represent all OC / LA Clean Tech enthusiasts in saying, "THANK YOU" for such a strong entry! And with that we show a final pic of the team HARD AT WORK on getting this great entry to the finish line. Some additional pictures from my visit are below. Feel free to browse and click on them for the larger version. See you at the Decathlon at the Great Park in Irvine starting Oct 8! Just so happened solar panels were being installed on the roof the day of my tour! How would you like a front row, no... BETTER than front row seat to the largest, most popular solar / energy efficiency / green living event in the country? 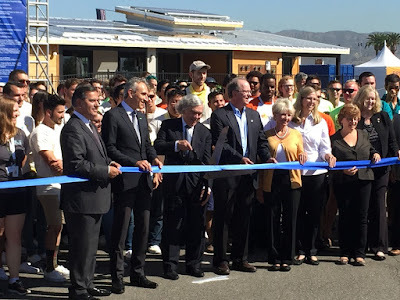 Well, the DOE Solar Decathlon 2015 is coming up quick and, just like in 2013, it is going to be right in our back yard, the Great Park in Irvine, CA. 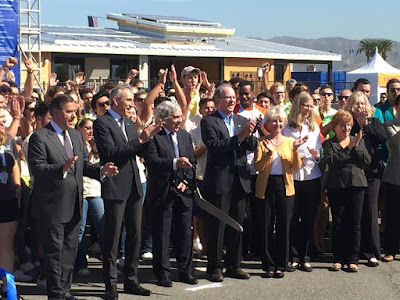 Long story short, this world-recognized event runs not only on the tireless efforts of nearly 20x university teams building the best of the best in sustainable living homes, but also on an army of event volunteers, many of whom are from right here in the OC. Organizers of the event sent out a notice earlier TODAY that volunteering shift slots are NOW OPEN and available for taking after you register to be a volunteer at this link here. I strongly encourage all that are interested to get over there and register right away, as the "best" volunteer slots are snapped up quickly. I also suspect that like 2013, organizers will really be eager to sign up volunteers for the event when it is open during the work week (Monday - Friday), so for those who can volunteer at those times, your assistance is greatly appreciated. As if you would need much of a carrot to be part of this terrific event, volunteers will be bestowed with a tee shirt in a size of your choosing! Now were talking! In solar news, Google today announced Project Sunroof, aimed at making the process of going solar easier through use of already existing data on rooftop layouts and solar resource. While some may look at this and say, "Sounds good, but meh..", I think there are several hidden reasons why this could be a very big deal for mass solar energy adoption and the solar energy business. What I mean by this is that there is no Amazon reviews system for the long term performance of rooftop installed solar projects for residential / non-commercial customers. If you are interested in going solar, you can go out and get a handful of bids, but other than competition on price and Yelp reviews of the installation company you choose, there is no great way to determine the "value of your roof". If you work in the solar industry, than you know you can use tools such as SAM, or PVSYST, or the TMY3 databases, but these are not tools generally used by the public. The customer is not in the driver seat here at a time when the customer is used to being in control. But, if a company as well known as Google had an easy to use, data-driven tool available to the public for free, then the customer is empowered to know as much as Google does about their roof. This is a very powerful bit of leverage, if it is done correctly. Leverage means more competition, lower prices, deeper solar adoption. 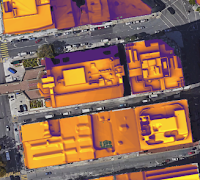 There are a host of new startups that are basically taking Google maps data and building applications on top of them to give the appearance of "automated" or "semi-automated" customer solar system designs. 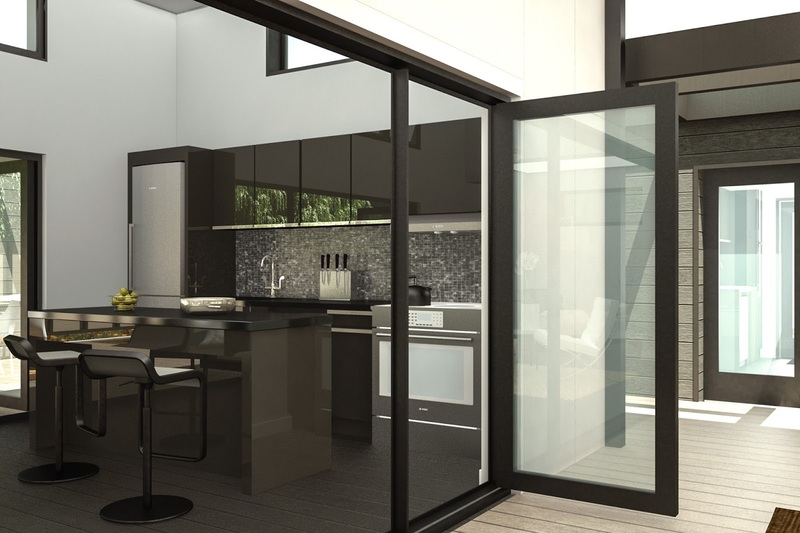 Firms such as Aurora, HelioScope, EasySolar are attempting to "automate" the design process to save big bucks and make the installer more competitive. While this is interesting, it seems much more logical that the process just be fully automated by a company with the resources to tackle such a problem, like GOOGLE, and then be done with it. If the first step in anyone looking to go solar was to type their address into Google and let the app do the work, then lets just jump to that solution today. In my dream scenario, I type my address into Google, type in my power usage, click "Go" and then print off my step by step instructions on going solar. It tells me where to buy my panels, where to buy my racking, the names of 5 electricians in my area that will connect it for me, and the names of 5x roofing companies willing to do the install. It helps me to understand my potential, give me the confidence I am not getting bamboozeld! Oh and it fills out my permit paperwork so I can take it right to city hall for signature. Please Google... make my dreams come true! Since Google currently makes money doing other things, I also hope that this process will be free, or close to free, since keeping down costs and widening accessibility is critical to deeper solar adoption. You can buy a 500W washing machine and plug it in at home without a signature from the government or your power company. But once the electricity goes the other direction, everyone wants to get involved. What is this silly-ness? The world needs to get comfortable with bi-directional electricity, and a company like Google helping to change the status quo can only help speed the process of making the installation of generation as simple as the installation of load. Here is a YouTube video for Sunroof. 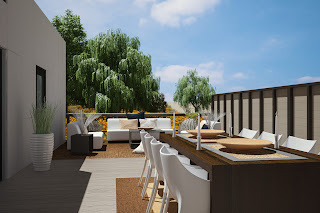 I look forward to keeping tabs on this project and using it for my own house once it comes to Orange County / Los Angeles! At the Penn State Conference Center last week, a large contingent of passionate solar folk and American Solar Energy Society leaders gathered to visit the annual ASES Solar Conference. I (Adam) stopped by for a day to talk about ASES, meet the people who make up such a great organization and give a talk titled "Why now is the best time ever to be a solar entrepreneur". My goal was simply to point out the things I've seen happening in the industry lately that could be helpful to the budding entrepreneur. The basic crux of the presentation is that now IS the best time for the budding solar entrepreneur, because solar is just recently gaining acceptance as a "real business". ITC uncertainty aside (for the US market at least), solar is positioned these days for the long haul, to be a major contender in the mix for global growth in demand for electricity. However at the same time, there are no shortage of problems (hidden opportunities really!) in solar that I feel entrepreneurs are distinctly positioned to capture. I've posted my presentation in PDF format at the link below. I'd love for anyone who is interested to review it, leave your own thoughts or give feedback to me on the topic. 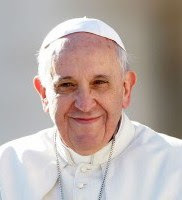 The Pope wow'ed just about everyone this week with some very stark comments on the responsibility of humanity to be stewards of the planet, and the reality that...and I quote, "The Earth, our home, is beginning to look more and more like an immense pile of filth." Here is some news coverage of the comments from CNN, and from the Economist if you are interested. This is very significant for at least three main reasons. First, the Pope is the official spiritual leader of 1.2 BILLION people. That means his comments have a direct communication waterfall to an aggregate number of people which basically challenges the population of the largest country in the world. Second, the deeply religious people of the world tend not to be in the same groups as those already deeply concerned and on the front lines of climate change. Traditionally, there has not been a lot of overlap in Venn Diagram of the deeply religious and the deeply environmentally conscious. Put another way, this is a 1.2 billion person audience for which most have not "seen the movie" when it comes to climate change. These are "fresh minds" when it comes to the conversation and global coordination that will be needed to work against it. These are new voices to the table... and perhaps upwards of 1 BILLION new voices. Lastly, even if you are not Catholic, the Pope has historically been a very powerful global voice which was usually to the "right" of the political conversation on a topic. Well, consider that expectation SERIOUSLY disrupted, at least on the environment / climate change. The starting shortstop from the away team just sauntered on over and sat at our bench?!? You Go POPE! Now lets play ball! Back in Feb, 2014 it looked as if the Orange County, CA presence of well know luxury hybrid car designer and manufacturer Fisker Automotive was all but done. The distressed assets of the OC headquartered firm were sold to the Chinese firm Wanxiang for $149 million in a bidding war, leaving the future of the firm uncertain despite a renewed interest in luxury electric / hybrid performance vehicles clearly lead by Tesla's Model S.
But it appears things have been happening at Fisker and this week came some big news for the company, Orange County and SoCal in general. It looks like the OC may have its hybrid car company back?! As announced in several OC news outlets this week, including this in the OC Register, the company has a new headquarters in Costa Mesa with 200 employees. A quick check of the careers portion of the Fisker website shows an additional 122 open positions. It looks like the company is preparing for a major presence again in the heart of Orange County, CA. In addition, the company announced intentions to open a Moreno Valley, CA manufacturing plant, it what seems to be a not-to-subtle copy of the Engineering in Palo Alto / Manufacturing in Fremont set up of Tesla in NorCal. A few years ago if you would've predicted anyone would be manufacturing cars in SoCal or NorCal you would have been chased out of town with a 10 foot clown pole! Now it seems things are lining up to have the two "coolest" + "greenest" car companies on the planet lined up to have engineering and manufacturing in the Golden State. 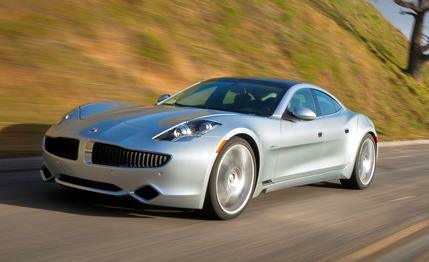 It will be interesting to see how the Fisker Automotive 2.0 plans develop. The large, established balance sheet of Wanxiang standing behind the firm does bode well for any plans announced publicly, so this will be one to keep an eye on! If you don't work in the renewable energy industry, it would be normal to think that the companies making the meat and potatoes of solar, like PV modules, would be raking the cash at the moment. Renewable energy, especially PV solar in rooftops / commercial industrial and utility, continues to grow at an impressive clip. This is doubly true given the ITC expiration at the end of 2016, so developers and customers alike are rushing to get their solar projects in the ground to capture the ITC benefits. But this simply is not the case. In fact, the world's second largest module seller of 2014, Yingli, announced recently as part of their annual report that their ability to continue operations given their current financials is in serious jeopardy. They lost over $200 million last year alone, the third straight year of losses for the firm. For perspective, lets glance at the financials of the world's largest module seller, Trina. The Q4 2014 net income at Trina on $700 million in revenue was $10 million dollars, a whopping 1.5%. So basically a run-of-the-mill CD has a better return than owning a solar module company for a lot less work. So while Trina is "profitable", it is barely profitable and a quick move in the market for modules could very easily destroy the business model and therefore the business. 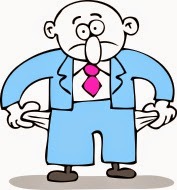 Solar module companies are what I call the "working poor" of renewable energy. They all make nearly the same identical product (except First Solar, and to a certain degree SunPower) and then they all race to the bottom on price. 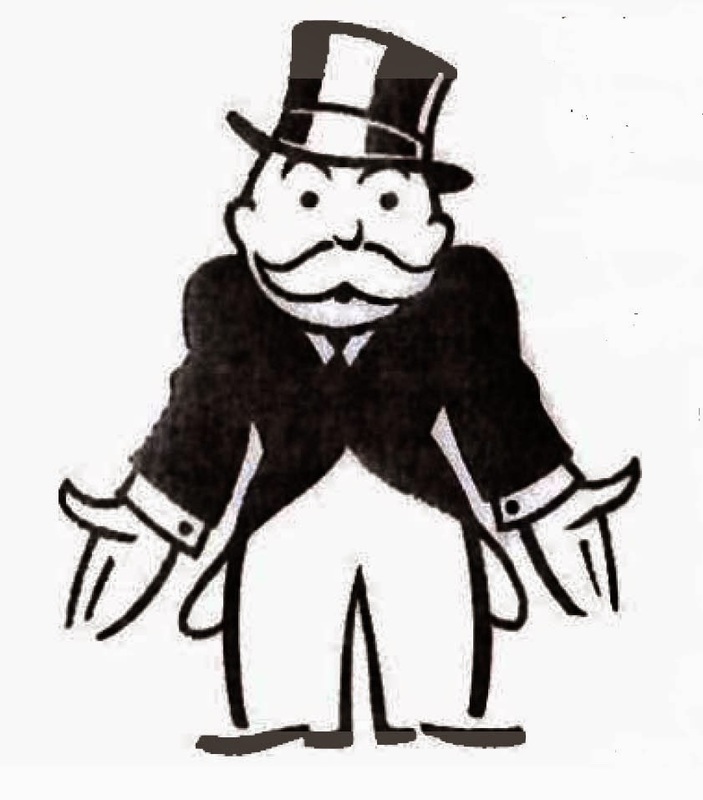 Another way to think of it, they represent the guy who has a high paying job, a fancy car, but also the alimony, child support, home equity loan and all the other financial obligations which leave him virtually living paycheck to paycheck. His cash flow is, well, less than ideal. Its all part of the fundamental problem in making and selling products which ultimately generate a commodity, energy, is that the product itself is commoditized. This has happened in solar modules, it just recently happen in solar electronics (DC optimizers, inverters, ect), and it will happen in energy storage. For the consumer (and perhaps the planet) this is all good stuff. It is driving the price of renewable energy down, which widens market opportunities and speeds adoption. But for the lowly product company, it is tough tough business. So do me a favor, next time you talk with you friendly neighborhood solar product company employee, give them a big hug, tell them its going to be OK and that the solar installer business is going great and will likely only get better between here at 2050.. so they'll always have a home ... on the roof at least! 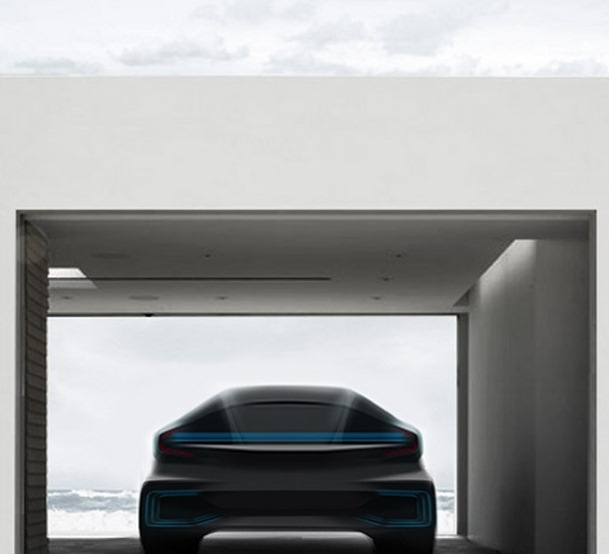 Unless you live under a rock, the end of April brought a big announcement in the world of cleantech / renewable energy, which was the introduction of the much anticipated Tesla "energy storage" products, most notably the Powerwall aimed at residential users. The announcement was picked up by the industry press and general press alike, speaking more to the marketing prowess of Tesla than to the actual revolutionary nature of the product. Of most interest to the pundits was the price, which falls within the range of $250 - $350/kWhr, a pleasant surprise to most who follow the trajectory in lithium ion pricing. The market leader in stationary energy storage is still lead-acid products, which have long been the workhorse of off-grid applications due to their low price (~$80/kWh) and simple maintenance, although they suffer great weaknesses in weight, depth-of-discharge (DoD) and total number of life cycles. As with any flashy new product launch, you will eventually ask yourself, "Gee, should I get one of these things?!" In fact, I had a local SoCal resident reach out to me to ask that very question, about how to best work storage into his home, which already has grid tied solar panels installed. I asked him if he was getting credit for energy generated but not used from his utility, widely known as Net Metering, and he said yes. "Well sir," I said, "The good news is you wont need to purchase a fancy Tesla battery, because the grid is already acting as your battery, and its doing a much better job than a in-home battery could ever do." When your grid-tied solar system generates more energy than it can use in your home micro-grid, then that extra energy goes back into the local grid (meter running backwards), where it is used by your neighbor down the street. When you have a Net Metering agreement with your utility, that means you are getting credit for that extra energy, which you can then trade for energy back from the grid when the sun is down. Basically, the grid is acting as your battery, effectively storing you over generation for future use. But what if you had a naughty utility which decided it wasn't going to give you any credit for your extra energy? Well, then you would be throwing your extra energy away. This is the time you may want to buy a battery, store your extra energy and use it when the sun goes down so its not going to waste because of an uncooperative utility company. But in the case of home batteries, the utility company who does not net meter is taking a huge risk, because a once customer of the utility is now completely self sufficient with their solar + storage set up and no longer has a need for the utility (or a far reduced one). They've lost a customer, which is a big big deal. So what is the most likely long term outcome from all this change in a consumers "energy options"? Option one, the utilities screw up net metering, forcing millions of customer to defect from the grid, which ultimately destroys their entire business. Option two, the utilities manage to keep net metering and install their own suite of storage + generation to effectively continue the "grid as a battery" model, thereby evolving their business and surviving. Option three, the utility owns the Tesla-like battery in your house, and you continue to "pay per kWh" much like a lease on a car, thereby evolving their business and surviving. While the vision of solar panels + battery storage + all electric loads sounds like modern household utopia, it will be interesting to see how this actually plays out. For now it is likely more of a deterrent against entrenched business practices than anything else. Utilities can no longer sit around and tell the solar people, "You'll be back! You need us when the sun goes down!" because solar people will soon have the ability to store sunshine. The next move is yours Mr. Utility. Choose wisely! 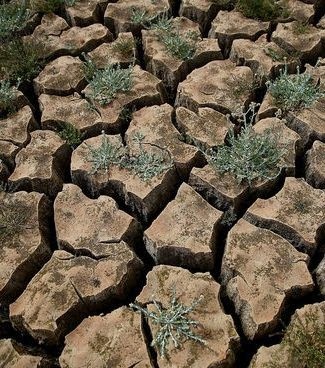 Yesterday was no April Fools, Governor Brown is finally starting to get serious about regulations in the midst of California's dire water situation. The flurry of press activity yesterday, including this detailed article in the NY Times outlines the now mandatory restrictions against excessive water use in California. The question now becomes, is this action too little too late? OCR has long been critical of water policy in CA, with limited / no restrictions on ground water usage and lax enforcement of existing water use policies in a state where 70% of water usage is for landscaping. Yes, you heard it right, LANDSCAPING! This older OCR blog post from last year explores this issue deeper. For residents of Orange County, you should be on the look out for several things. First, the local government is going to want to pay you to take out your lawn. Riverside already has "cash for grass" programs in place, and I would expect this model to go statewide. Second, I would expect water wasting enforcement to go up. This means citations for those who refuse to learn how their sprinkler systems work and let them go off in the late morning / early afternoon hours when most of the water then just evaporates (and when local government workers are on the beat). Ignorance will no longer be bliss in the "how to operate your sprinkler system" department. Last, since the main mode of communication to the public about their water usage is their monthly water bill, I would expect the rhetoric about the state's water situation to get ramped up in your monthly mailer. You may start to see more charts comparing your usage to your neighbors in an attempt to shame you into a more conservative water user. If that doesn't work, the we may start seeing tiered pricing for water to penalize overuse. Some cities, like Santa Monica, are already talking about personal water restrictions, as reflected in this recent YouTube video. Outright price increase will likely be a last resort, as increasing the price of water can have a disproportionate class effect, with the poorer water users suffering disproportionately to the richer water users. It will certainly be interesting to see how this situation develops as we get into the dry months, and certainly if the upcoming winter is another dry one. We've all know one (especially in Orange County). They are our friends, our family, our coworkers and especially our politicians (we're talking about you Dana). I'm talking about the climate change skeptic. Now, I don't fault a skeptic for being skeptical. I myself am very skeptical of very many things, like CASH-FOR-GOLD, OxiClean or the Forever stamp. But I've seen far too many renewable energy enthusiasts become far too frustrated with the global warming skeptic and often blow a perfectly good opportunity to have a discussion and really get to the depths of what makes a global warming skeptic skeptical. 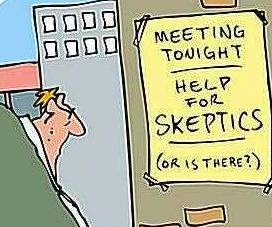 So, as a kick off to a multi-chapter post, I'd like to share a few of my own strategies for "how to talk to a global warming skeptic" it a way that does not insult, alienate or enrage anyone involved. Since this is the first chapter, I want to start with what is by far the easiest conversational technique, which is taking all opportunities to put and end to the term "global warming". Global warming is indeed one of the most popular phrases to reference what is more correctly known as climate change, and is correct in its composition, that the world climate is trending warmer. However, it really irks me to hear anyone (skeptic or otherwise) talk about weather, such as the brutal 2014 / 2015 east coast winter and say something to the effect of, "Global warming?? Yeah right! Look at all this snow!" It is mistakenly interpreted that the world "warming" means milder winters. It doesn't. I know its confusing, but it doesn't. This Feb 10 article from the Washington Post takes many words to explain as much. Simply put, the term global warming allows for a "cheap shot" from anyone against the phenomenon of climate change whenever a cold stretch of weather comes through their neighborhood. A far more apropos term was originally coined by Hunter Lovins is "global weirding". This is far more descriptive of what is actually happening with the planet's weather. It is getting weirder. Much weirder. This is because the features of the planet used the regulate the climate, namely the ice sheets at the North and South poles, and greenhouse gases in the atmosphere, are changing. So when your at that cocktail party and here someone explain, "Global warming is crap, my uncle in Boston is still shoveling snow! ", find a polite way to talk about "global weirding" instead. Even the skeptic can agree that the recent weather extremes (on both coasts) have been pretty pretty weird. Stay tuned for other talking tips! Utilities ramp up fight against solar. BRING IT ON! In case you haven't noticed, there has been a significant ramp up recently in new stories with a common theme: "Utilities are working to limit the growth of solar." Here are a few excerpts from several news channels along the theme. On March 25, 2015, former Representative Barry Goldwater Jr. (a republican?!) wrote this piece for the website The Hill in which he calls a spade a spade. The piece is titled, "Slandering solar is not about protecting taxpayers, but protecting the utility's monopoly status." He references recent actions in Arizon at SRP and APS to slander and charge customers utilizing solar with additional fees. On March 27, 2015, the site ecowatch.com released a piece detailing recent activity by the notorious Koch brothers on moving to limit the growth of solar energy in at least four states. The Koch brothers are also notorious for political spending and many have surmised their solar smear campaign has deeper roots into the upcoming presidential election cycle. Last is an interactive piece released today on green tech blog GreenTechMedia.com which asks the question if utilitiy companies should even be allowed to own rate-based (meaning the price of electricity can change) residential solar (meaning the panels on your roof). At the surface, this all looks pretty scary for those who look towards a solar future. For years the utilities have dismissed solar as nothing more than an annoying feature for some hobbyists, but with the continued strong growth in the industry and the momentum that federal incentives for solar are likely here to stay, utilities are now starting to sweat. They know more than anyone that they are not ready for a solar future. They are waaay to fat, dumb and happy to have to actually compete in business. Here is the conundrum for utilities. They have a massive infrastructure set they have to maintain through revenue from rate payers. As infrastructure ages and inflation increase, the cost of maintaining such large physical infrastructure will only go up. It ages, needs to be serviced, replaced, all the while the cost of labor in the US increases. So, expenses are pretty much always going up, year over year. Meanwhile, some of their customers have decided to start generating their own power through solar. This means they are sending less money to the power company and the end of every month. Therefore, if electricity prices were to stay the same, the amount of revenue headed to the power company is going down. 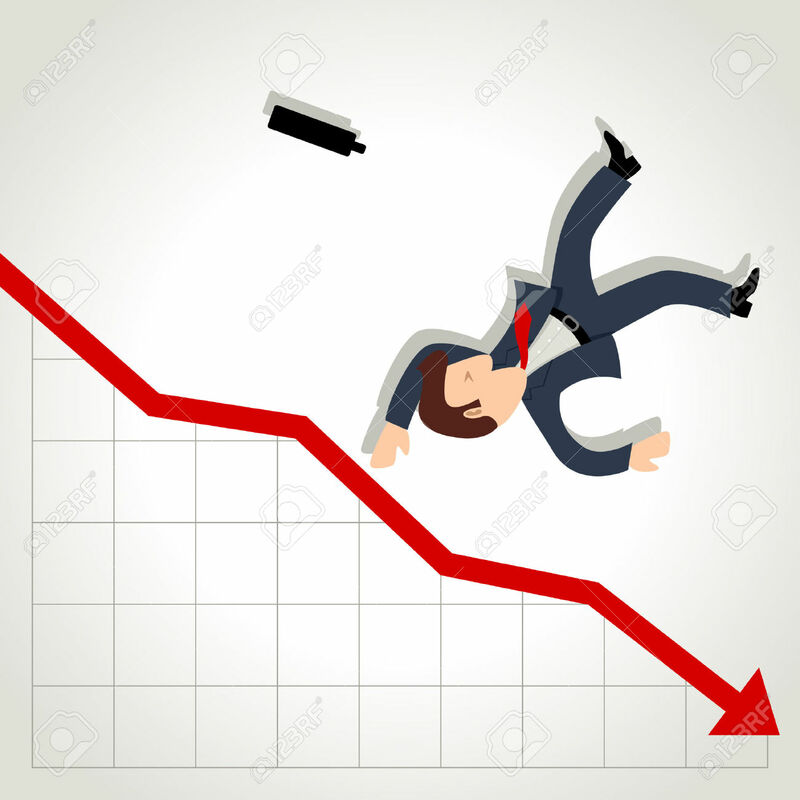 So, expenses are going up, revenue is going down. That is not good for business. So, to counter the rise in expenses and fall in revenue, utilities have to raise the price for electricity. But, this further increases the value of having solar to manage some of your generation, so even more people are encouraged to go solar. 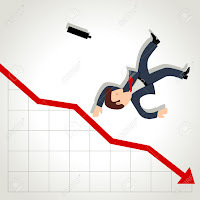 Revenue continues to fall, prices have to go up, so forth and so on. Right now solar is very affordable, with solar panels costing about $1/W, inverters about $0.5/W and installation from $1-$2/W. So, for a 2kW system on a house, you are looking at $4k-6k, of which many companies are willing to finance for the life of the system. However, there is another part of the solar future which is also getting very affordable, very fast. This is the storage component. Many manufacturing companies are racing to develop storage which can work directly with solar to provide a total power solution. As this gets cheaper, the mythical Grid Defector is more and more empowered to defect and go 100% solar for their needs. Partner this with increasing fees from a utility company and the Grid Defector only becomes more powerful! Overall, the battle over residential electricity primarily will likely end in a mix of storage, micro-grids, electric cars but most certainly solar. What is interesting today is that utilities have many choices in front of them. If they choose to try and stop the economics of solar, they will undoubtedly lose much like land lines lost to cellphones. If they wise up and look for ways to include (or even reward) solar adoption while shifting their business plans, they will be rewarded. The choice is theirs, and it seems to be starting right now. A Saudi Oil Minister is widely credited for saying, "The stone age did not end for lack of stone. The Oil Age will end long before the world runs out of oil." Now, no one is sure that the recent turbulence in oil markets is the "beginning of the end" for black gold, but there are some very interesting things happening right now that are worth tying together. 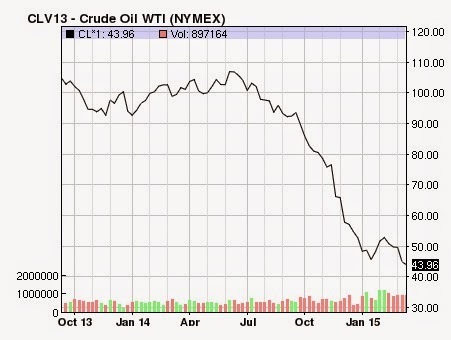 First and foremost, the oil market is very much getting a crash course in Economics 101: Supply and Demand. It is news to nobody that new oil extraction techniques such as hydraulic fracturing have expanded oil production volumes in areas and countries once thought to forever be minority producers. The clearest example of this is domestic US production in areas such as the Bakken formation. But, as is with any "new" technology, it is generally more expensive than traditional technology, at least to start, meaning it only makes business sense when the market for oil is high (say ~$100/barrel). But have you seen the pumps recently? The price of oil at the end of the trading day today was $43/barrel. Well, that is quite a deep hole (pun intended) in the business plan. So whats happening? Well, first, lets talk about demand. In a world driven by constant stable growth for goods and services, a strong, steady demand for any product is more then desired, it is necessary. Oil is no different, and unfortunately for oil producers the global demand for oil has not been all that great. There are a few reasons for this, but one I feel is worth mentioning is the relationship between emissions and economic growth. Historically, the level of global emissions from fossil fuels and amount of economic growth have been closely correlated. Cheap energy is used as fuel for industry which produces more goods and services, raising more revenue and thereby increasing total economic output. But in 2014 there was a blip. In a recent report from the International Energy Agency states,"Data from the International Energy Agency (IEA) indicate that global emissions of carbon dioxide from the energy sector stalled in 2014, marking the first time in 40 years in which there was a halt or reduction in emissions of the greenhouse gas that was not tied to an economic downturn." Well, that's kind of a big deal, because a "halt or reduction" in emissions implies less fossil fuel is being burned, which implies lower demand for fossil fuel. Now on to supply. Usually when demand for a product wains, the supply must also slow down as not to collapse the market for the product. But, this is really not possible for oil, partly because it is not just businesses who are producing and selling the product. Governments produce oil too. Like Saudi Arabia. And what is the primary goal of a Government? To stay in power. Therefore, a government who is also an oil producer does not act with the same motivations as a business, but with the motivations of a government. Case in point is Saudi Arabia, the biggest power player in OPEC, has decided that even with the wain in oil demand, they will not be cutting production. Supply will stay ample. Therefore, supply trumps demand.... and prices fall. And now we get to explore the effect of this situation on various oil business. Here are a variety of links on the various effects. First, oil companies are now trying to inventory their oil in hopes of a stronger market (relatively soon) where they are not losing as much money (or maybe even making money). This has caused a boom in storage companies. It has also caused a recent "rally" (or what you could call a dead cat bounce) to fizzle leading to even lower prices. So what does all this mean? Simple, if your oil production business plan is built around $100/barrel oil, then your business plan is currently ruined and it makes no sense for you to operate. The enhanced recovery techniques that once promised a resurgence of domestic energy independence are currently very very noncompetitive. There is no way a consumer of oil would pay top dollar for American production with international oil at these price levels. I hope your 401k is devoid of fracking companies. If not then you better sell, right NOW. This really is a funny world we live in. Without evening looking for news on the hidden cost / dangers of fossil fuels (outside of the long term climate change and environmental risks) I casually (one on TV, one on the radio) came across two news stories showing the extreme risks that exists in an economy and transportation system based on fossil fuels. First, in West Virginia a train derailed earlier this week and caused 20 tanker cars to catch fire. It has been burning for over 24 hours, billowing thick black smoke and soot into the nearby community. Oh, and it derailed into a river, so there is also serious risk of water contamination based upon the success of pending clean up measures. A Reuters update on this news story is at this link here, including a video of the massive fire. Second, just today at the ExxonMobil refinery in Torrance, CA, an explosion visibly ripped apart structures and sent ash and debris into the nearby community. It injured upwards of four workers and shut down the plant for at least the day, and likely much longer. A NBC Los Angeles story is at this link if you care to take a look. Does it seem at least a little funny to anyone else that we so casually put up with these types of events when renewable energy is, even today, so available to get us out of the fossil fuel based transportation and energy paradigm? 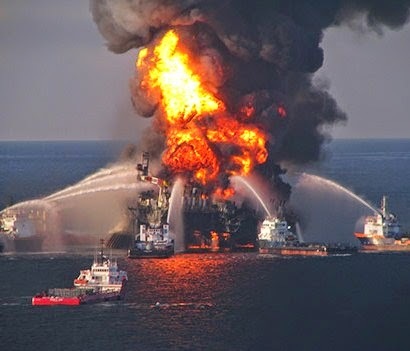 Are we so desensitized to these environmentally and socially awful accidents that these event alone are not enough to push us in a mad rush towards a renewable generation + storage + electric vehicle future? I don't know about you, but I personally get a sick feeling in my gut every time I see thick black smoke pouring from yet another fossil fuel based disaster. Whatever your feelings, just know that today you do have choices as a consumer of transportation products and energy, and these choices will only get better for you, the consumer, as time goes on. Hopefully we can move towards a system where these types of accidents are just stories from the past, like hearing stories of westward settlers decimating the American buffalo population through over hunting. Oh, one last piece of news. There were no reported renewable energy explosions this week. This leaves the all time count for renewable energy explosions at zero. Please check in next week for an update on the count.